I’ve been living nomadically since 2014, staying in my fair share of both Airbnbs and hotels. So, which is better? It depends. For me, I’ve spent the vast majority of my time in Airbnbs vs. hotels. I’ll give my reasons, plus the pros and cons of each, below. #1 It’s cheaper than a hotel. This is, hands down, the number one reason I typically stay in Airbnbs: It is SO much cheaper! 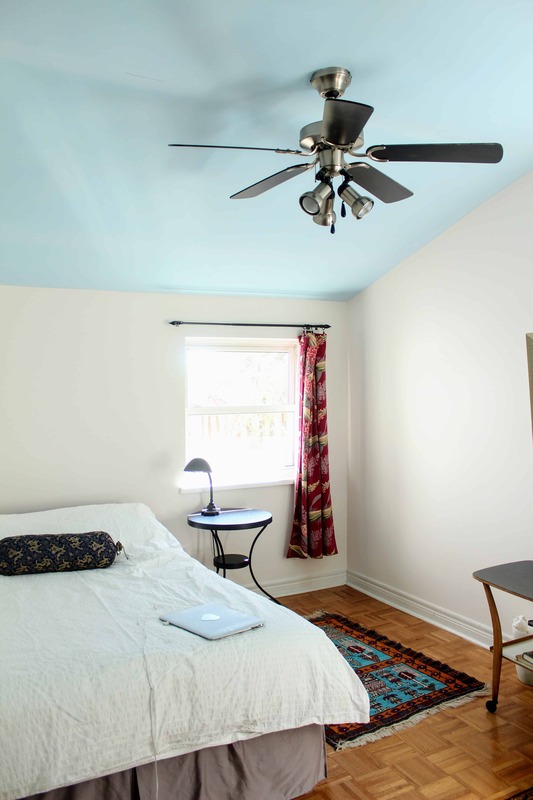 You’ll get way more amenities and space in an Airbnb (usually) that in a hotel. Plus, Airbnb hosts typically offer weekly and monthly discounts, so if you’re staying somewhere long-term, you’d be hard-pressed to find a hotel with a better deal. #2 You can negotiate the prices. Unlike hotels, with Airbnbs, you get to deal directly with the host, and the host has the ability to send you a Special Offer. To get a Special Offer, you must first message the host (don’t try to book yet!). After the host responds, get to know them a bit. Then, ask if they’d be willing to meet your lower budget. I recommend ONLY doing this if you’re booking last minute because then it’s more of a win-win. You need a place to stay, but the host also needs to fill that vacancy before they lose money altogether. I wrote more about how to negotiate on Airbnb. Because I’m a solo traveler, I love to stay in a host’s home for the first few days of my trip to a new destination because I know the host will give me local tips. I’ve actually befriended a couple of my hosts and we keep in touch today. #4 It helps you experience life as a local. This is a huge draw to Airbnb for many travelers. Instead of being in a hotel that’s filled with other travelers, with Airbnb, you could stay in an apartment in a building filled with locals. It’s a completely different experience and can be more authentic. 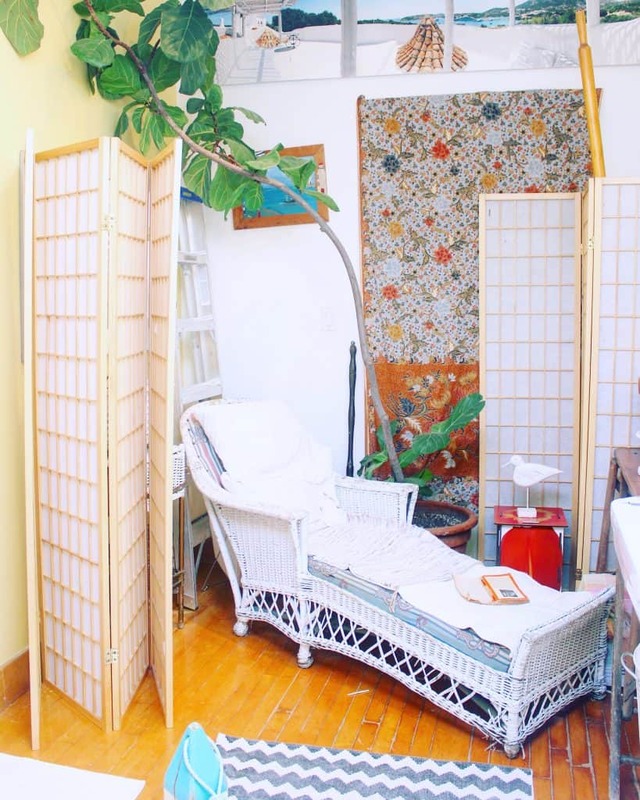 Plus, Airbnbs can be so unique! Just see the photo above. 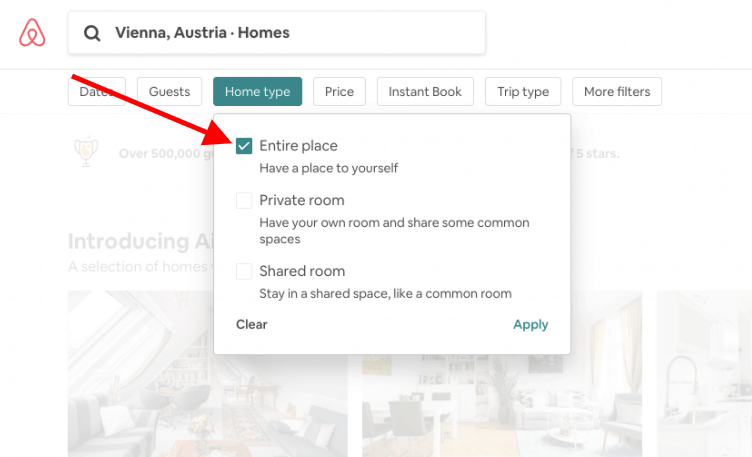 #5 Because Airbnb hosts are often heavily relying on this as a source of income, and because Airbnb has a review system, they’re going to try to be on their best behavior. Something to keep in mind, both as a guest and host, is that Airbnb has a review system, so both parties are incentivized to be on their best behavior. If a guest, for example, is noisy and throws parties in the Airbnb, that host can give them a negative rating and leave them a bad review, meaning it will be much more difficult to get approved by another host again to stay at a different Airbnb. And for hosts, they usually heavily rely on the income they’re making from renting their place out on Airbnb. It is in their best interest to make sure you are satisfied, because they know that one bad review can ruin business for them. #1 It’s not as regulated. Now, this is probably the biggest con to using Airbnb: It’s mostly unregulated (though, many local governments are cracking down on Airbnb). You’re not going to have a manager you can speak to if things go wrong at your Airbnb. You’ll contact the host, who may or may not be helpful. You can also contact Airbnb customer service, but in my experience, they’re not super responsive or all that helpful sometimes. Read the reviews. All of them. You can even search for key terms in the little search box above the review section. I often search for words like “dirty,” “clean,” and “safe” to cue me in to the experiences (good and bad) of former guests. Look for Superhosts. “Superhost” is a coveted title bequeathed to only the best hosts on Airbnb. They have to meet strict requirements, such as maintaining a 4.8 or higher rating, responding to 90% of new messages within 24 hours, and completing at least 10 stays in the past year. Message the host beforehand. To get a feel for the host, send them a message beforehand. Go ahead and address any concerns you may have. This will help you become more comfortable with staying with them or at their property. Send your Airbnb itinerary to a friend or family member. Be sure to let trusted friends or family know the exact address of where you’ll be staying, the name of the host, and the host’s phone number. Research the neighborhood. Before you even commit to staying at a place, Airbnb will give you the general area of where it’s located. Do your research to ensure it’s a place you will feel safe and comfortable. Opt for a private apartment, rather than sharing one with a host. If you’re really weirded out by staying with a stranger, then opt for “Entire place,” which will give you a private place to stay without sharing with other hosts or guests. #2 Airbnb has received a TON of criticism for ruining local economies. This is another huge con of using Airbnb. Some say that because of the demand it creates for vacation rentals in the market, it makes it harder for locals to secure affordable rentals. Landlords know they can get more money by renting out a vacation rental to a foreigner (high prices) than they can renting out a regular ol’ apartment to a long-term renter who’s a local. This, in turn, may make it extremely difficult for locals to find affordable housing. #3 Airbnb customer service isn’t great. In my experience, when there’s a problem, it can be difficult to get a prompt or satisfactory reply from Airbnb. I understand they’re a HUGE company with many users, but it’s annoying. #4 Airbnb hosts are NOT hotel owners, so you can’t expect too much. This can be a “con” for some, but I think it’s totally fair: Airbnb hosts are just regular people, like you and me. They’re not hotel owners. They’re not at your beck and call. They have jobs and lives and families. Having said that, if you stay at an Airbnb, you can’t always expect things you would expect at a hotel, such as room service, more toilet paper, shampoo and conditioner, or help arranging a taxi. Keep that in mind if you would like to book an Airbnb. Hotels are highly regulated and have an entire management team and employees. This can feel safer and more legitimate. #2 Customer service is expected to be top-notch. When you stay at a hotel, you should expect top-notch customer service. They are, after all, in the business of hospitality. Typically, there is someone staffing the front desk 24/7 and you can always walk over to them or call them. #3 You’ll feel pampered (if it’s a nice hotel). For most hotels, if they’re nice ones anyway, you’ll feel pampered. You have a concierge who answers your questions, gives you tips on the local sights, and arranges tours and cabs for you. You can order room service. There might even be a restaurant and a spa in the lobby. It’s a completely different experience from the local Airbnb experience. #1 It’s more expensive than an Airbnb (usually). For me, the biggest con of a hotel is it’s usually much more expensive than an Airbnb, especially because it’s not typical to get a monthly discount at a hotel like you can on Airbnb. #2 There’s no personal touch. Sure, some hotels might have exceptional service that can add small personal touches, but nothing compares to running into your Airbnb host in the yard and getting invited inside for dinner. #3 In a hotel, way more people have used that bed, toilet, etc., than in an Airbnb. This is more of a cleanliness issue. While hotels hire staff who are trained specifically to clean the hotel room once someone checks out, you have to keep in mind that there is much higher turnover at a hotel than at an Airbnb. That means way more people have slept in that bed, used that towel, stood in that shower, etc. #4 You don’t get to feel like a local. 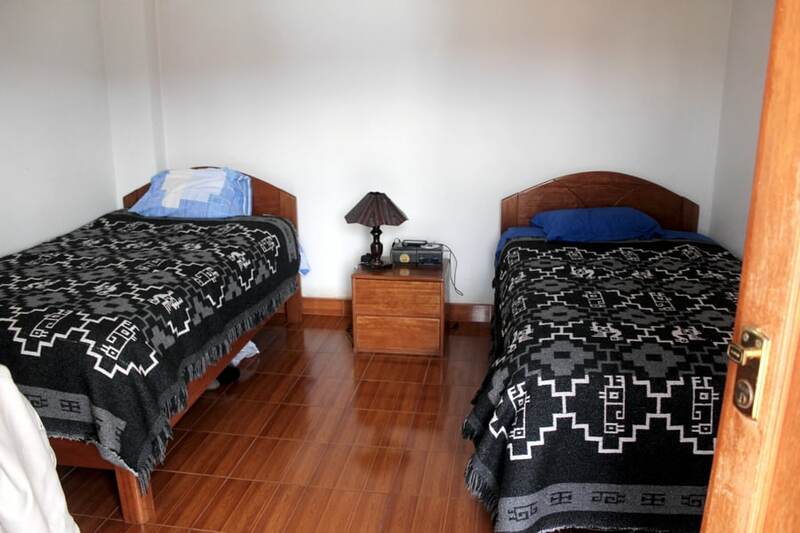 It’s tough to experience life as a local when you’re in a hotel surrounded by other travelers. Airbnb Vs. Hotels: Which Should You Choose? 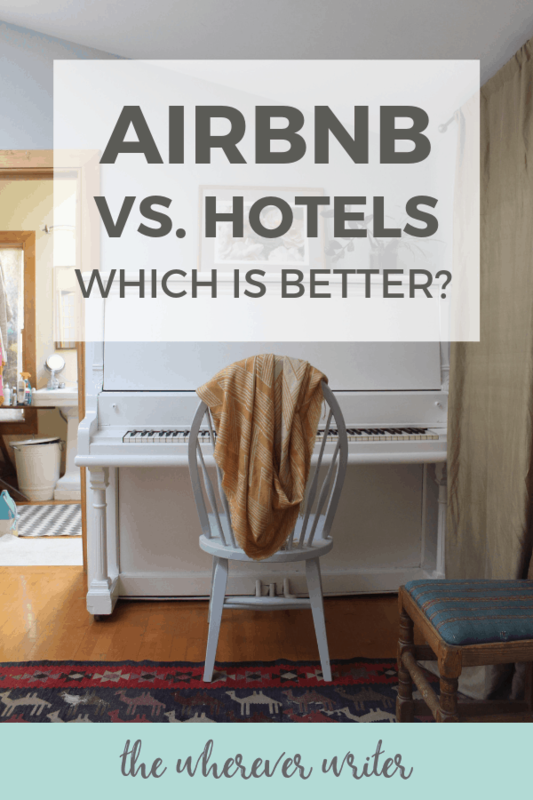 When it comes to the debate of Airbnb vs. hotels, which one you choose really comes down to the purpose of your trip, your style of travel, and your personal preferences. Do you love living like a local when you travel to a new destination? Definitely try Airbnb. Do you need to feel pampered and have access to customer service 24/7? A hotel will best suit your needs in this case. Are you in town on a business trip? Probably opt for a hotel. For things like business conferences, you typically get a discounted rate at the hotel where the conference is held, so it seems more professional and cost-effective to stay at a hotel. Are you traveling the world on a tight budget? Airbnb can help here (or a hostel). Are you traveling with a large group or a family? Airbnb can work great here because you can rent entire houses with many rooms. Alternatively, you could try to get connecting rooms at a hotel, but I think it’ll cost more. I hope that helps you decide! And if you’d like to give Airbnb a try, click here to get $40 toward your first Airbnb stay. Or, check out Booking.com if you’d prefer a hotel.